Published 1 week ago. About a 4 minute read. With ‘Sweeteners Uncovered’ pop-up in NYC and new online database, KIND shines a light on disguised ingredients in some of the US’s favorite snacks. KIND Healthy Snacks (KIND) continues to blow the whistle on the prevalent use of sweeteners in today’s popular snack foods. 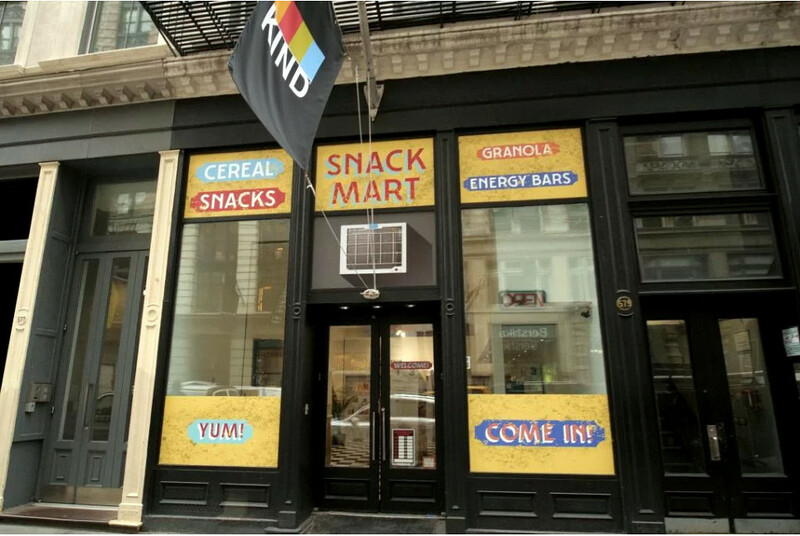 In the latest component of its educational journey, KIND — which has long disclosed the sugar in its snacks and challenged other snack companies to reduce the sugar in theirs — today unveiled an online database and an augmented reality installation in New York City that showcase the multitude of different sweeteners and sugar sources hidden in top-selling snacks. The pop-up display comes at a time when sweeteners and sugar sources are more rampant in snacks than ever. Nearly 75 percent of packaged foods and drinks in the U.S. contain a sugar or low-calorie sweetener, according to a study in The Lancet. In a survey[^1] fielded by Washington, DC-based Morning Consult, 41 percent of respondents say when they read a food label, they don’t understand which ingredients are sweeteners. KIND’s sugar-awareness crusade augments similar efforts from Panera Bread, which, since the launch of its “Food as It Should Be” campaign back in 2014, shared its journey towards serving only “100% clean” food, which it achieved in early 2017. Along the way, the restaurant chain launched a series of “100% clean,” non-carbonated craft beverages made with no artificial sweeteners, preservatives, flavors or colors; along with a 'sweet facts’ fountain beverage cup, which lists the calories and added sugar in each of its six new craft drinks, as well as regular sodas. As KIND points out in a statement, snack foods such as energy and snack bars, yogurt, cereal and granola have long been perceived as overall healthy choices, but KIND’s pop-up shop and online database reveal that the sweetener content of many options in those aisles are at similar levels to that in desserts and frozen treats. For example, some energy bars are comprised of more than 30 percent sugar. The ‘Sweeteners Uncovered’ pop-up shop will leverage augmented-reality technology to not only highlight the total sugar content of some of the US’s favorite snacks, but also the obscure sweetener names that they are hiding behind. The installation will be open to the general public at 579 Broadway in SoHo from 10:00 AM – 6:00 PM EST today (4/10) and tomorrow (4/11), while the initiative and national index will be available online at www.sweetenersuncovered.com. KIND’s latest campaign comes weeks after the company filed a citizens’ petition to the US Food and Drug Administration, regarding the nutrient content claims made on the front of food packages — the current regulation looks at the quantity of a nutrient instead of the quality of the overall food, which enables food marketers to put misleading claims on unhealthy products. It also comes after a public challenge last month from rival Clif Bar (whose products are front and center on the Sweeteners Uncovered site), urging KIND to use organic ingredients — the company even offered to supply 10 tons of organic ingredients. Still, it wasn't just a stunt: Clif Bar told Ad Age that its campaign prompted 18 companies to respond with an interest in going organic. [^1]: This poll was funded by KIND and conducted from February 27-March 3, 2019, among a national sample of 2200 adults.